IEI’s professional liability expert consulting includes reviewing and analyzing the design work of HVAC, plumbing, architectural, energy management, piping and control systems. With experience in design, engineering and construction, our design errors and omissions consultants determine whether or not the designer met the standard of care. Want more information about our professional liability expert consulting services? Call or e-mail us today! Our design errors and omissions consultants are often retained by law firms, insurance companies, contractors, facility owners, associations and design professionals. We perform calculations, site inspections and review the records that relate to the design of the project specifications or in design administration. Allegations of errors in design administration may include decisions or guidance provided by representatives of the design professionals during construction. Design errors and omission claims may result from allegations of inadequate performance of a building system, process or product; or from injury, property damage or fire. 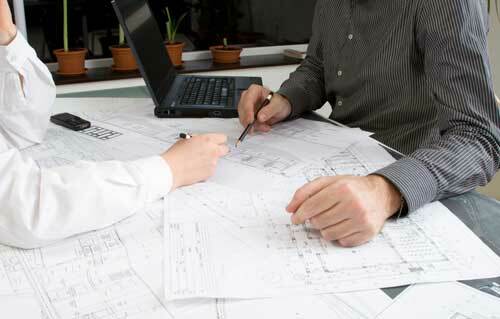 Construction contract disputes, in the form of claims for additional compensation, often contain elements related to the quality or timeliness of the design documents or administration by the design professional. With design build, where the contractor performs the design and construction, there may be less or no detail in the plans and specifications. The as-built construction may be the only evidence of the design and the only basis available to determine if the design was done properly or not. For these engagements, IEI professional liability experts will inspect the project or review records or other information that document the as-built conditions. Disputes also arise during construction, which provide another demand for professional liability experts and consultants. For example, when system performance or failure problems are discovered during start-up or commissioning, the contractors and designers are often at odds. The designer may point a finger at the contractor and the contractor may blame the designer. In this case, Ivey Engineering is often retained by a neutral party to determine the cause of the problem, which party is at fault and how to remedy the problem. This sometimes results in a follow-up engagement to provide design documents (plans and specifications) and construction administration to repair the system or building. Would you like a fee schedule for our services? Fill out the form and we’ll get back to you soon.